Lock in a great price for Hotel Indigo Shanghai Jing'An – rated 9.3 by recent guests! Conveniently located around a 10-minute walk from Hanzhong Road Subway Station (Line 1, 12 & 13), Hotel Indigo Shanghai Jing'An is only 1 stop away from Shanghai Railway Station. The hotel lobby is designed as a movie theater, welcoming you with posters of Hollywood golden age's movie stars. Hotel Indigo Shanghai Jing'An is around a 6-minute drive from Shanghai Natural History Museum. Nanjing Road Pedestrian Street is about 11 minutes' drive from the hotel, while Jing'an Temple is about 15 minutes' drive away. 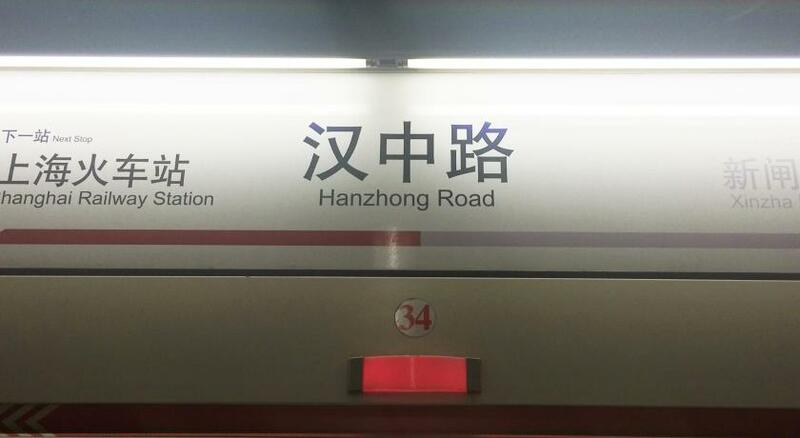 Shanghai Hongqiao International Airport and Hongqiao Railway Station are around 35 minutes' drive away. All guest rooms in the hotel are fitted with a flat-screen TV. The rooms are equipped with a private bathroom with a bath. The rooms will provide guests with a desk and a coffee machine. Shell Library and Culture Salon is the place where you can experience the local culture. Docks Cafe offers Shanghai local cuisine, while 500 Restaurant and Bar provides an international menu. When would you like to stay at Hotel Indigo Shanghai Jing'An? This room has a LCD TV and a capsule machine. The bathroom comes with separated shower and bathtub. Located at floor 3-11, this room has a LCD TV and a capsule machine. The bathroom comes with separated shower and bathtub. Located at floor 12-15, this room has a LCD TV and a capsule machine. The bathroom comes with separated shower and bathtub. This suite has a living room and a bedroom, providing a LCD TV and a capsule machine. The bathroom comes with separated shower and bathtub. Branded shower product and hairdryer are provided. Guests are entitled with Indigo executive floor benefit. This suite has a living room and 2 bedrooms, providing a LCD TV and a capsule machine. The bathroom comes with separated shower and bathtub. Branded shower product and hairdryer are provided. Guests are entitled with Indigo executive floor benefit. House Rules Hotel Indigo Shanghai Jing'An takes special requests – add in the next step! Hotel Indigo Shanghai Jing&#39;An accepts these cards and reserves the right to temporarily hold an amount prior to arrival. Hotel Indigo Shanghai Jing'An accepts these cards and reserves the right to temporarily hold an amount prior to arrival. If only the gym was opened 24 hours. Their staff were wonderful. Went down in the middle of the night feeling hungry and April actually helped to order fried chicken for us using her own personal phone. Such good service! Location is not in the center center of Shanghai, but having said that it is actually quite nicely placed with a good view of the city. New hotel with staff who are trying to impress. All round good experience. The room was so stuffy due to central air (i.e. heater only) and no windows. Luckily, we were able to move to the room with window on the second day. Thanks to the hotel staff! !